OT students Cailtin Hancock, Emma Tindill and Rebecca Young. 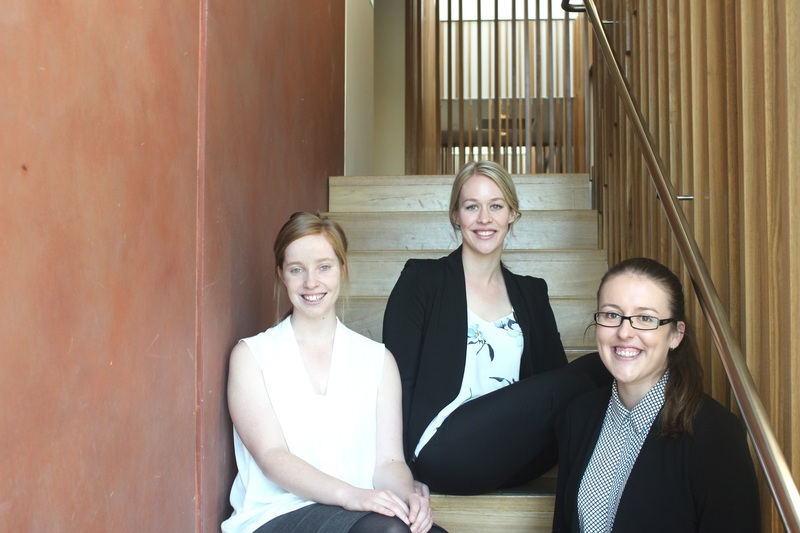 Of all the things they’ve learnt at La Trobe, occupational therapy students Caitlin Hancock, Emma Tindill and Rebecca Young never thought iMovie would be one of them. But the trio can now add ‘filmmaker’ to their resumes. The Bendigo students have worked with Mount Alexander Shire health services to create a 30-minute film as part of their course. With no prior knowledge of video production, they borrowed a camera from La Trobe’s media department and gave themselves a crash course in iMovie. The film documents the impact the Montessori approach of working with dementia patients has had across Castlemaine, Maldon and Harcourt. Services in the Mount Alexander Shire Aged Care Collaborative recently introduced the Montessori approach to make life more meaningful and enjoyable for their elderly clients. Castlemaine Health adult day service and volunteer program manager Alecia McShanag said Montessori was about looking at what a person could do, getting to know that person, their interests and past occupation, and tailoring activities to them. “It’s about finding out what’s relevant to them and allowing them to be important,” she said. The students spent six weeks interviewing and filming staff, volunteers, clients and their families at five services. The film is now being used to highlight the Montessori approach to other service providers. Last week it was shown to health professionals from across the Loddon region, including Maryborough and Kyabram. Rebecca said after working on the film, she too would advocate for the Montessori approach should she ever work in aged care. “You would think the approach was common sense, but we found the nurses were previously very task orientated, as in this is what we do at this time, and the person didn’t always have a choice. Now, they’ve changed to a person-centred approach,” she said. Emma gave the example of a former sign writer, living in aged care and suffering from depression. All three women said they hoped their film would influence other services to adopt the Montessori approach. The project was presented at the 2016 La Trobe Rural Health School occupational therapy graduating student conference, along with eight other student research projects, including the benefits of pet therapy in youth mental health services, and how to engage teens in education. The conference was the last university commitment for these students after four years of study.